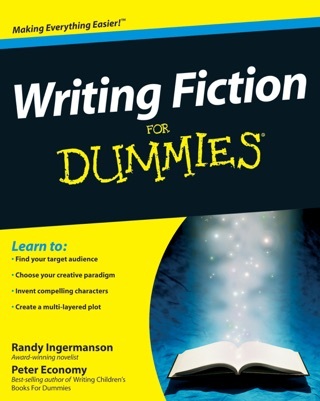 Want to Write a Dynamite Novel? The secret to writing a dynamite novel is to first write a dynamite scene. Because if you can write one terrific scene, you can write a hundred. And that’s a novel. This is a short book, with just one goal—to teach you the simple principles you can use right now to design a powerful scene before you write it. If you’ve already written your novel, you can use these same principles to make each scene better. 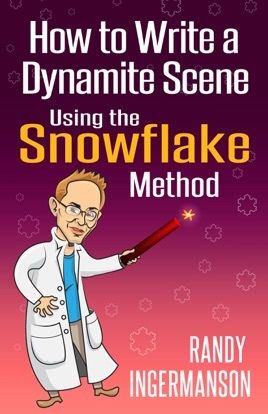 How to Write a Dynamite Scene Using the Snowflake Method will give you the power tools you need to write scenes that move your reader’s emotions. * The one thing your reader most desperately wants. And why. * How to decide which character should have the point of view. * The 2 kinds of scenes designed to give your reader a powerful emotional experience—and how to know which to use. * 5 ways to test that your lead character’s goal in each scene is perfect. * How to end every scene so it leaves your reader wanting more. * Why dilemmas are good, and how to know when they’re ruining your story. * 4 ways to know that your character’s decision will drive your story forward. * How to know when a scene is broken—and how to fix it. Your reader desperately wants one thing. You have it in your power to give your reader that one thing. And what is that one thing? I could tell you what that one thing is, and you would nod and agree that yes, that one thing is clearly something all readers want. But telling you that one thing wouldn’t make it stick in your mind forever. I want it to stick. I’d rather show you that one thing. Once you’ve seen it, once you’ve lived it, you’ll never forget it. That one thing will be inside you, fueling everything you write. So let me tell you a quick story about one of our ancestors who lived many thousands of years ago in a small village on this planet we call home. When I say he’s our ancestor, I mean it literally—he’s your ancestor and he’s my ancestor and he’s every human’s ancestor. That ancestor of ours was once a thirteen-year-old boy, the newest man in the village, and the smallest. Imagine you’re that boy on the day when word comes to the village that there’s a killer tiger ravaging the village’s herd of goats. You’re furious. A drought has been burning the land for many months. That herd of goats is all that keeps your village from starvation. You’re also terrified. There’s only one way to get rid of a killer tiger. The village has to organize a hunt, find the tiger, and kill it. But that won’t be easy, because there’s nothing more dangerous in your world than a killer tiger. The village headman sends word around to the whole village. All men meet in the village square, and bring your spear. When the messenger comes to your hut, he shakes his head and frowns. He thinks you’re too young to go. In your heart, you’re afraid he’s right. You only just became a man in the last month. You’re small. You’re skinny. You’re weak. But in your head, you know he’s wrong. If the village doesn’t kill the tiger, it’s going to steal every last goat, and the village is going to die. To save your people, you and every man in the village have to work together to kill the tiger. You know very well you might not come back. A thousand times in the village square, you’ve heard the village story-woman tell the Tale of the Tiger. You know that when a tiger is surrounded by men with spears, it always looks for the weakest man—and attacks that man. Sometimes the man kills the tiger. Sometimes the tiger kills the man. You’re terrified, but you know you have to go. You grab your spear and run to the village square. 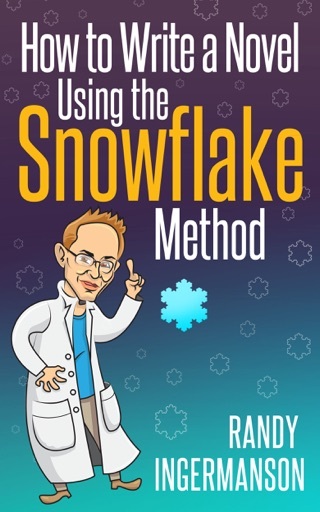 Click the book cover in the upper left corner to read more.